Live at Hammersmith '79. 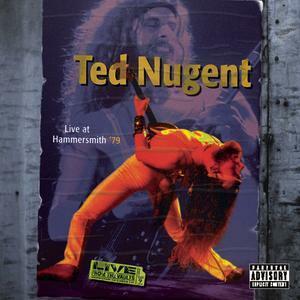 Cover of Live at Hammersmith '79, a performance originally broadcast on the King galleta flor Hour, recorded during the segundo set of a sold-out night at London's Hammersmith Odeon in 1979 and not released until 1997.. Wallpaper and background images in the Ted Nugent club tagged: ted nugent image album cover live live at hammersmith 1979 1997. This Ted Nugent photo contains animado, cómic, manga, historieta, anime, and dibujos animados.